Don't you just love a girl that gives good blush? I know I do! And I had every intention of doing just that with these beautiful La Femme blushes as soon as I laid eyes on them! For a while I was seeing beauty bloggers and vloggers rave about these blushes so I knew it would be a matter of time before I grabbed some for myself. 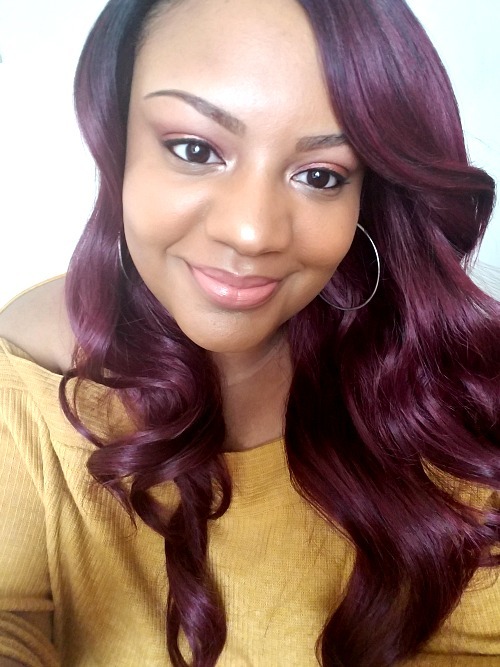 So after browsing around a few makeup websites a few months back, I landed on MakeUp Mania and scored big with these beauties! 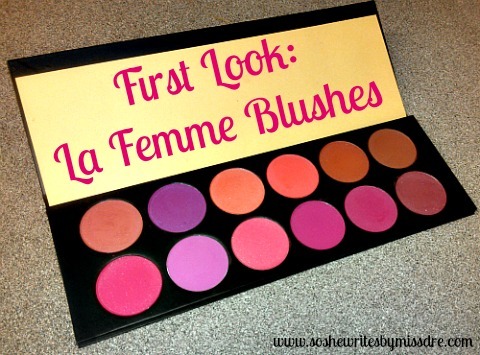 La Femme Blushes have such a wide range of shades, and for that I was most excited. 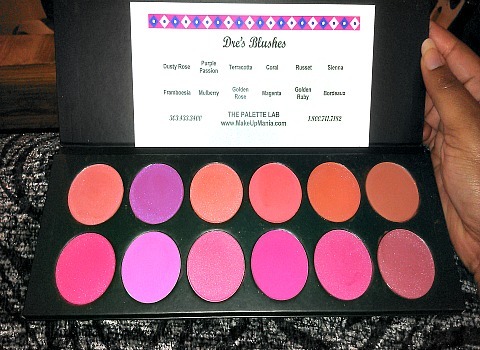 I was also impressed by the idea of creating my own custom color palette, choosing the blushes I wanted (rather than purchasing a generic set of colors I may or may not use) for a very reasonable price. While the average blush usually retails anywhere from $5 to $20+ these were roughly $3.50 each! I received my order in no time. The processing and shipping only took a couple of days, which was definitely a plus. But what I was ultimately pleased with was the excellent quality of the product. The size of the pans were much bigger than I expected for the price, meaning they would last me for quite some time. 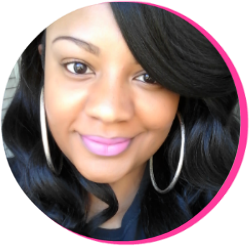 Not to mention the colors are super pigmented. Check out the swatches ( I did with just one stroke) below. 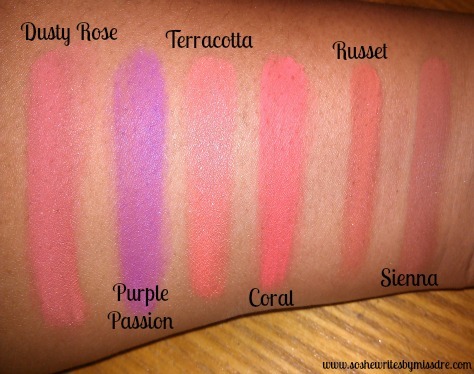 These swatches were taken without flash. So far Dusty Rose, Terracotta, Golden Rose, and Golden Ruby are my favorite shades. Framboesia and Magenta are the prettiest shades in the pan, but one must be careful to only use a tiny bit of these two as they are VERY pigmented. 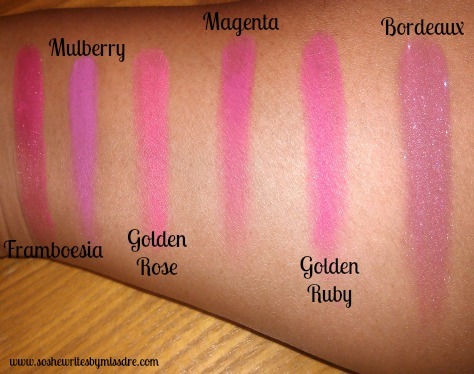 Do you have any of these La Femme blushes? What is your favorite shade of blush?